Now that was apt. On the other side of a midlife crisis, with a crook knee denting my over-blown cycling aspirations and my ego lying tattered and crushed in the dust by the side of the road, it made me chuckle. That was the whole intention. A chuckle. I read your poetry out loud, and this one is so intense. Love this! 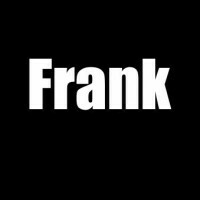 Unfortunately no love on this earth can ever make any of the promises asked for..
Hello, Mr. Frank! Have you ever fallen for someone who still has feelings for someone no longer there? How should one deal with that? Move on? No. Understand those feelings and respect them. Oh my you just made me cry. Absolutely beautiful! True emotions. True love. Hard to find. I like this one Frank ^-^ ! As we get older we realize there’s more to life that the external. Grab all you can, and give all you can.